Ian W. Abdulla called himself a “Riverland Nunga” as a way to take account of his mixed heritage: his mother was a Ngarridjeri woman and his father Afghan. Abdulla’s early life was spent on farms at the Gerard Mission, fruit picking or fishing along the Murray River. Combining nostalgia and history, Abdulla’s work replayed these memories in painted scenes that are not necessarily idyllic. 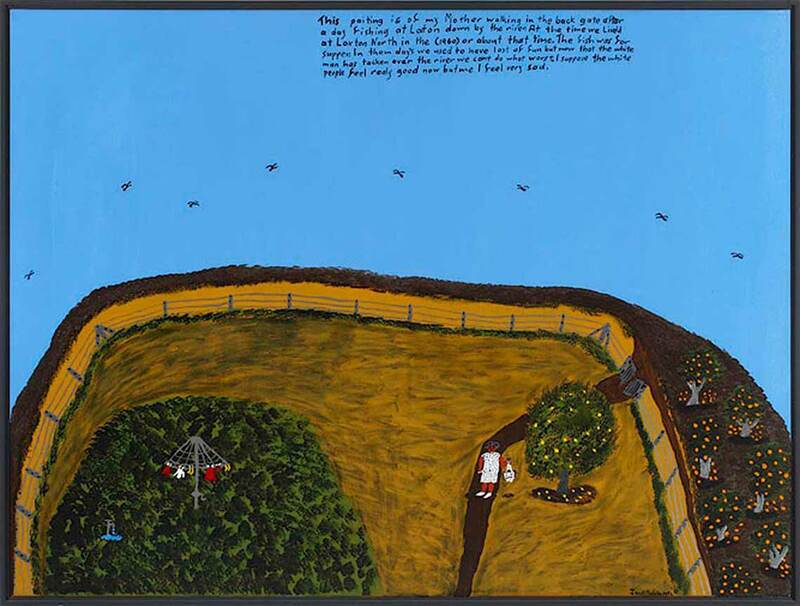 Abdulla’s narrative account of his upbringing revealed the impact of colonisation, providing a window on the rural life of an Aboriginal family in the 1940s and 1950s – with all the complex tensions that entailed.